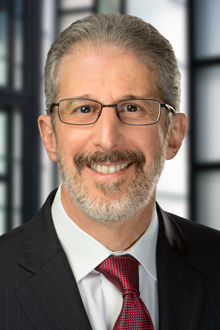 David E. Russo is a partner in the San Francisco office of Lewis Brisbois and a member of the Admiralty, Maritime & Energy Litigation Practice. Mr. Russo's practice focuses on civil litigation and appellate practice in the areas of Admiralty, Cargo Claims, Product Liability, maritime personal injury defense, and contracts and commercial law. He has tried over a dozen cases to verdict. His practice also includes defense of general liability cases involving death and catastrophic injuries. Mr. Russo has had a 34-year career in private practice in San Francisco. He has tried over a dozen cases to verdict. These have included the defense of multi-million dollar cases and have involved cases in the state and federal courts throughout California. He has also tried numerous other disputes in bench trials and arbitrations. Mr. Russo is a regular speaker at meetings of the Passenger Vessel Association, and at other maritime industry gatherings.